Is This Metals Giant Loading a $2 Billion Growth Cannon? Bad news in the mining industry may actually be good news for this company. Silver Wheaton Corp. (NYSE:SLW) has a unique business model in the precious metals space, providing growth capital to others. And the company just loaded that cannon with $2 billion that's at the ready. The important thing to understand about Silver Wheaton is that it isn't a miner. It's what's known in the industry as a streaming company. That means two things. First, when a miner has byproducts that are outside its main business, it can sell the rights to those to Silver Wheaton for an up-front payment. For example, a copper miner might find that it's digging silver out of the ground, too. It can sell that silver, which isn't as material as copper to its top or bottom lines, for a lump sum payment it can use to keep building out its copper operations. Second, since Silver Wheaton has paid for the rights to the precious metals, it doesn't need to build or operate high-cost mines to get its silver. And, equally important, it sets a fixed price for the metals it has the right to buy. 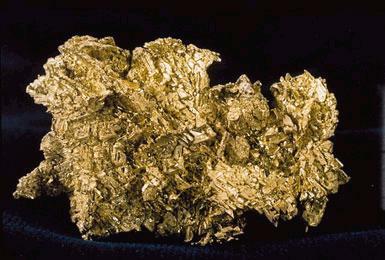 For silver (about 60% of revenues), that price is about $4 an ounce, and for gold (about 40%), it's around $400 an ounce. There are inflation adjustments in the contracts, but effectively, Silver Wheaton's costs are fixed. This asset-light model results in wide margins. For example, in 2014, its operating margin was roughly 44% versus Barrick Gold's (NYSE:GOLD) operating margin of around 26%. And it's largely fixed costs create a great deal of leverage to rising precious metals prices. Its operating margin in 2011, when gold and silver prices were higher, was over 76% (Barrick's was 46%). In fact, it's making money today in a weak pricing environment, unlike Barrick Gold. In some ways, Silver Wheaton blurs the line between a finance company and a mining company. And that's where a recent $2 billion shelf registration comes in. A miner grows its business by building new mines and expanding older ones to increase production. Silver Wheaton's growth comes from providing funding so miners like Vale (NYSE:VALE) and, you guessed it, Barrick Gold can grow. While all of these companies need access to capital, Silver Wheaton has to be ready to pull the trigger on deals at any moment, and it has to come up with cash in big lump sums. Now happens to be an interesting time for the industry; miners are retrenching because of low commodity prices. According to Silver Wheaton co-founder and CEO Randy Smallwood, "In the current environment, there is little capital being invested by the industry." But that's not as bad as it sounds. Miners haven't stopped spending, they've just become more conservative about what projects they are willing to fund. However, because miner finances are stretched overall, they are looking for alternative ways to finance the spending they choose to, or have to, do. And that's where Silver Wheaton comes in. 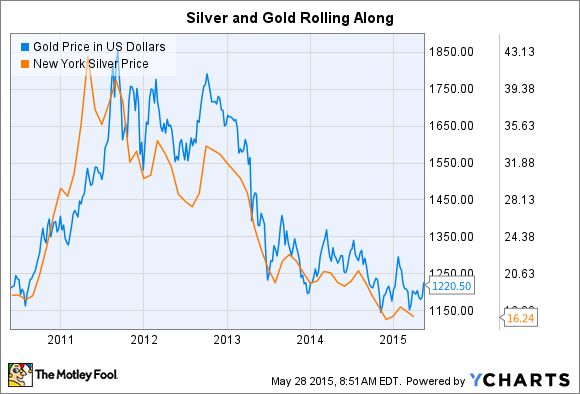 Is Silver Wheaton a golden nugget? Source: Public domain, via Wikimedia Commons. A miner doesn't need to repay Silver Wheaton, it just needs to sell its future silver and gold production at a set rate. Vale, for one, seemed to like that trade-off when it inked a $900 million gold streaming deal with Silver Wheaton earlier in the year. But deals like this mean Silver Wheaton needs quick access to capital. That's why it recently filed a shelf registration that allows it to issue up to $2 billion worth of stock or bonds over the next two years. It also increased its revolving line of credit from $1 billion to $2 billion. In other words, the company is ready to make some deals. And with struggling miners looking to keep growth spending on track at the lowest cost possible, now could be a great time for Silver Wheaton to enhance its own growth profile with some well-timed moves. If you are interested in the out-of-favor mining sector but are reluctant to jump in because of the risks, Silver Wheaton, a gold and silver play without the costly mines, could be a profitable compromise for you, too.